So you live in Kitchener-Waterloo; work in Kitchener-Waterloo; and play in Kitchener-Waterloo. Then you are just who Juliana Gomez is looking for. 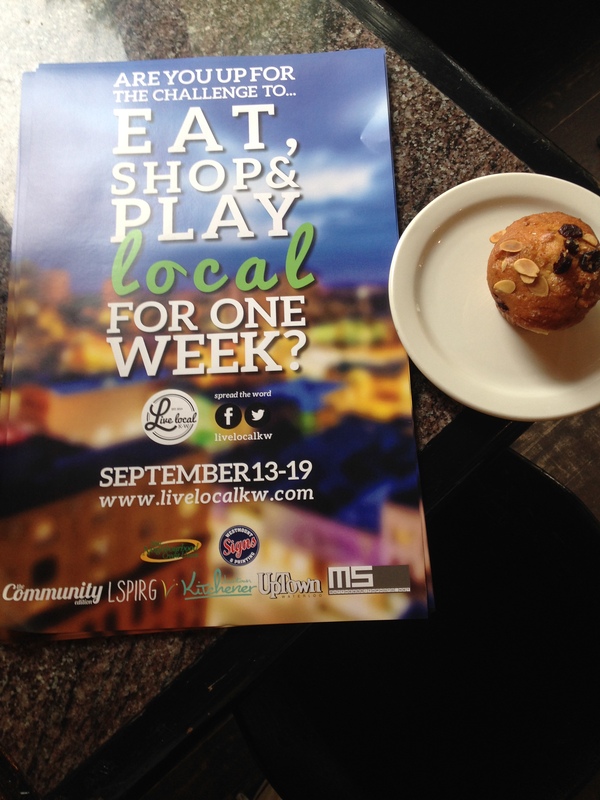 She wants you to be part of LiveLocalKW during the week of September 13-19, 2015: a one-week challenge where people pledge to eat, shop and play local. 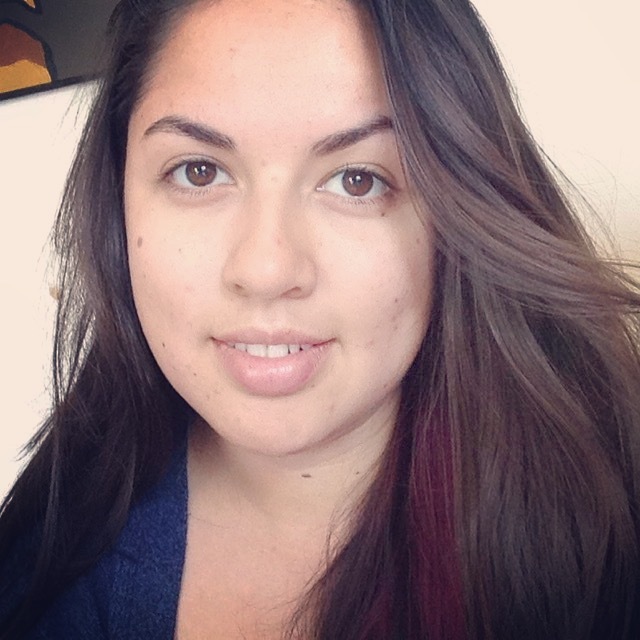 “This is a great chance to grow our sense of community and belonging,” says Juliana. “I really want people to think about the role they can play in their city and intentionally connect with their region and all it offers,” she says. Last year, 150 people pledged to participate for the live local week and 47 businesses offered incentives and discounts to participants. This year, Juliana is hoping to triple those numbers. You can commit to the #livelocalKW week online (I did and it takes about 30 seconds to sign up). “I hope that this initiative will support our local businesses and feed our local economy and culture,” she says. “But on a more deeper level, I genuinely believe we live happier lives when we feel a sense of community and belonging and this event can help move us in that direction.” Juliana sees this as an opportunity to create and nurture connections between people, businesses and organizations and a way to highlight that we all have an important role to play in our community. Keeping the community connections strong, Juliana has arranged a pay-it-forward incentive called “Twoonies for Cheating.” If you happen to forget to shop local during your pledge week, you will be encouraged to donate $2 in support of FoodLink, a not-for-profit connecting Waterloo Region to local food. So, what can you do? 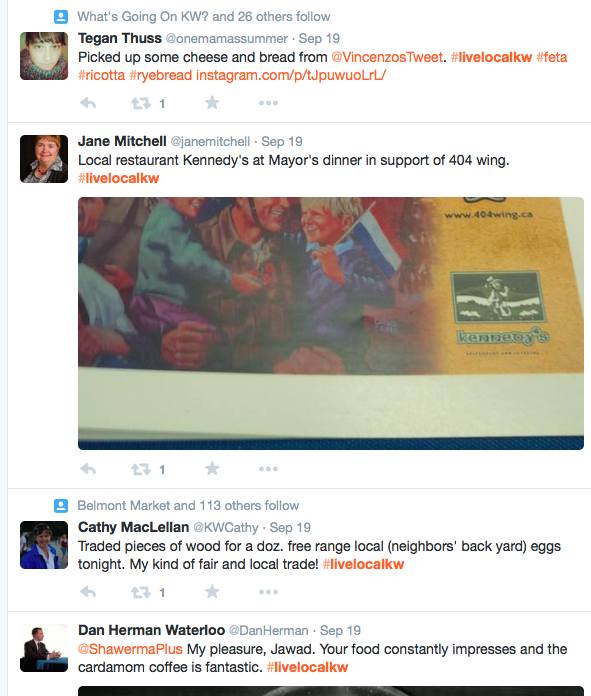 Pledge and #livelocalKW during the week of September 13-19. In the meantime, encourage others to sign up—both K-Dubbers and businesses—and start some social conversations about living local. And if you really can’t participate, then make a feel-good donation to Foodlink. It’s good for you, and your community. P.S. Juliana’s favorite topic of conversation: stories about people’s lives. I recently met writer and former Globe and Mail editor, Tasneem Jamal, at the Arts Awards Waterloo Region. She was nominated in the writer category, and I was nominated in the ‘other’ category, for this blog. 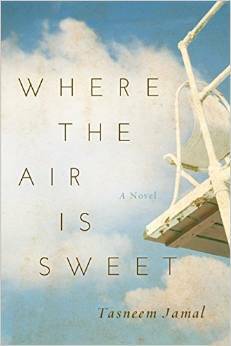 She won; I didn’t, but I knew I wanted to interview her about her first novel, Where the Air is Sweet and her writerly life. We discussed the surprising response to her Chatelaine essay about her family’s African adventure; balancing writing time with work and motherhood; the popular books at her house; and the best way to drink tea. I just finished reading her book – it is fascinating and once you finish reading this post, you should march to your favourite bookseller, such as WordsWorth Books, and get yourself a copy. Last year, you published your first novel, Where the Air is Sweet. Congratulations! How has the shift to being a writer in a public sphere gone for you? It’s been an absolute pleasure. Writing a novel is such a solitary experience. But throughout the process I was conscious of the reader, of wanting to connect emotionally with the person reading the book. To meet readers is a gift. Part of being a writer today is public speaking and doing lots of self-promotion. Is this part of the writerly life at odds with who you are or is it manageable? I enjoy meeting people and speaking about my book, so in that sense public speaking and promotion are not at odds with who I am. Time, however, is a challenge for me. I have young children and a part-time day job in addition to writing. In that respect book promotion can be a challenge. The book was inspired by your family and the Ismaili Muslims’ experience of being forced out of Uganda in the 1970s. What sort of response has this generated from the Ismaili community? Are they pleased to have their story told in this fashion? 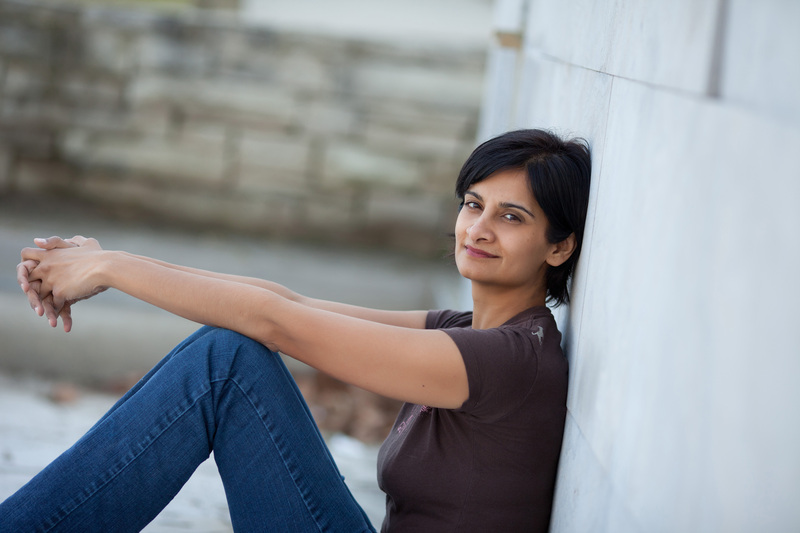 The family in the book, like mine, is Ismaili Muslim, but the story chronicles the experience of the larger community of Ugandan Asians. And the response from this community – former Ugandan Asians – has been extremely positive. Prior to my book’s publication, the expulsion had not been told in any meaningful, public way. Many people who lived through the experience – as well as their children – have told me reading about their story in a novel form has been gratifying and moving. If someone says, ‘Hey, what is your book about?’ what do you say? My book tells the story of the 1972 expulsion of South Asians from Uganda by Idi Amin. Many people read your article in Chatelaine and related to your poignant story of the dreamy African adventure turning sour. What kind of response did the article generate? It was tough for me to publish because it was deeply personal. But the response has been overwhelmingly positive. People emotionally connected to the essay in a way I had not expected. So much so that I have been inspired to write a book-length account of our year in East Africa. I feel like a child again when I write. I’m playing – and anything is possible. Was it your family connections that drew you to Kitchener after your African adventures? It’s my hometown. My family settled in Kitchener more than 40 years ago. My parents never left. I lived in Toronto (where I went for university) for about 12 years. 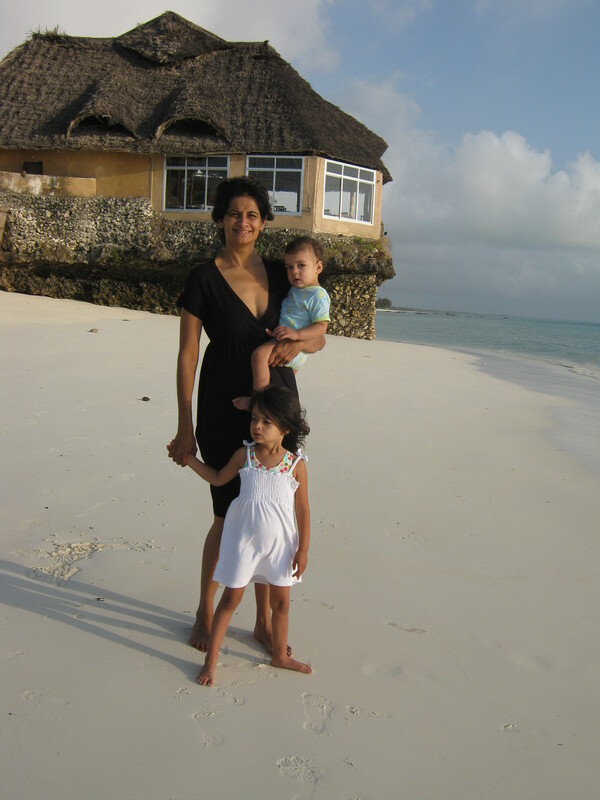 When my husband, my daughters and I came back from Tanzania, my parents were kind enough to let us live in their house. I found a job in Waterloo soon after and we moved into our own home. You have two young daughters at home. What books are popular in your house? Novels by Judy Blume and Beverly Cleary hold a special place of honour in our home. I’m a news junkie, so I regularly scour news sites and love to read analysis and opinion. When it comes to fiction, I have a physical repulsion to bad writing and so I cannot read more than a paragraph or two of popular literature. Reading literary fiction is pure pleasure for me. What writer would you love to meet? A typical day involves getting the children off to school, working – either at my part-time job as a communications officer at Project Ploughshares in Waterloo or writing (I have two days a week to focus on my writing) – and then picking the children up after school. If I can squeeze in some writing time after they are in bed, I try to do that. 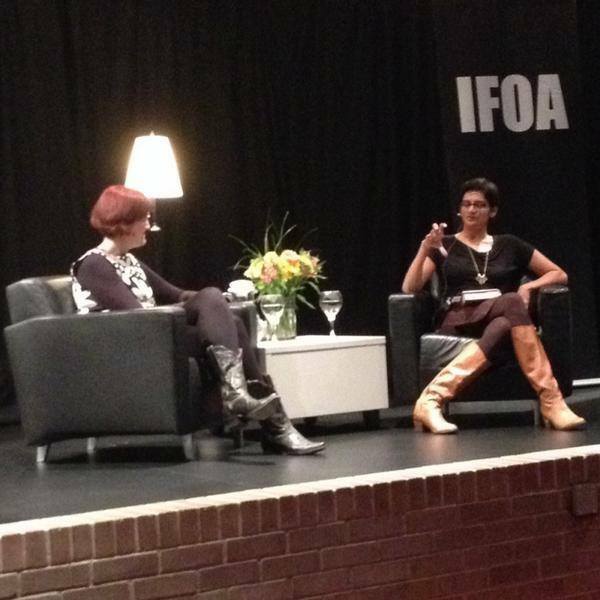 Tasneem on stage at the International Festival of Authors, with Emma Donoghue. The most important questions: coffee or tea? The answer is complicated. At home, I drink tea. I like it in a very particular way, milky (with evaporated milk) and sweet. I think that’s the South Asian in me. When I’m away from home, coffee, always. What creative project are you currently working on at the moment? I’m working on a creative non-fiction book about our year living in Tanzania, stemming from the Chatelaine essay you mentioned. Tell me three things you can’t live without (except people). My laptop or some sort of writing device. Modern plumbing (I cannot do outhouses and such). A hit of caffeine in the morning. What gives you the greatest pleasure? Remembering that life is to be enjoyed, no matter what I’m doing. What would you rather do: go dancing, see live music or watch TV? It depends on the live music in question and my level of sleep-deprivation. Listening to a beautiful voice and an acoustic guitar is a lovely night out. But good television is fun as well. Dancing doesn’t make the list for me. What other arts and culture things do you like? I love live theatre. Going to see plays was something I did regularly in Toronto and before I had children. Is there a wish you have for Waterloo Region? I wish there were a culture of walking. This is in the realm of fantasy in 2015 but I would love to live in a neighbourhood where you simply don’t need a car to go buy groceries, go to a restaurant, etc. The topic matters less than the attitude of the person with whom I’m conversing. If someone is truly engaged – with him or herself, with me, with the present moment – I’m in heaven. P.S. Tasneem will be one of the speakers at the Waterloo Public Library’s annual fundraiser, After Hours @ The Library this fall. You should come. You can keep up with Tasneem’s activities on Twitter. 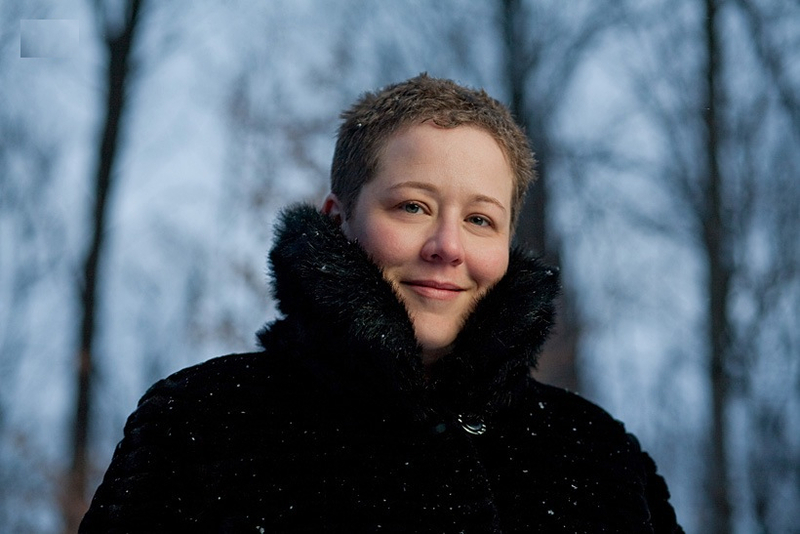 There is a whole world of smart, well-written and compelling young adult fantasy writing beyond the realm of Twilight, and one of the genre’s best writers lives right here in Waterloo Region: the talented Erin Bow. Her latest book, Sorrow’s Knot, was released last month and is already topping lists, including the Publisher’s Weekly Book of the Week. Her first YA novel, Plain Kate (was awesome) and won the Canadian Children’s Literature Award. Erin is also an award-winning poet and science writer, and all-round storytelling whiz. In the midst of her Sorrow’s Knot promotional tour, Erin took some time to answer some questions. It`s those days when it goes well, when you make something from nothing and it’s effortless and electric and amazing. There are not so many of these, but they make it all worth it. I would match that feeling against any other joy in my life, and I have some good ones. The second best thing is hearing from readers, especially young readers. They warm my heart. 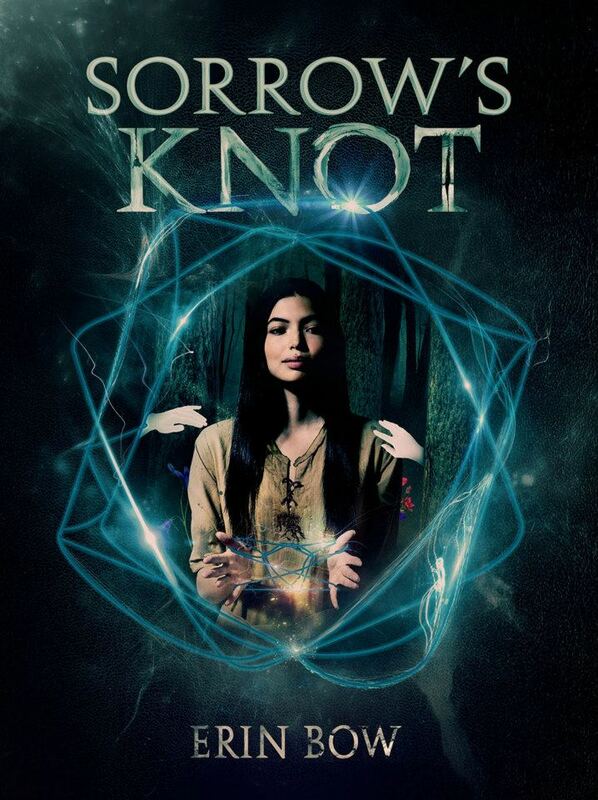 Your book, Sorrow’s Knot, has just been published [super congratulations!] so I imagine that you are busy on the promotion trail. This part is so different from the solitary process of writing. How does this kind of thing suit you? I find the whole idea that authors should do publicity a bit odd. I mean, our core skill is sitting quietly and talking to fictional people. I’m not sure what about that makes people think we might be good at cocktail parties. As for me personally, I am good at cocktail parties —good at speeches and interviews and essays and all the rest of it. I’m grateful to get to do publicity, because I believe in my book. I want people to read it. I work hard to get it in front of people and I get excited when I get a new chance to do that. I always have fun, in the moment. And yet … where some people might be energized by that, I find it exhausts me and makes me feel stickily self-conscious. I’m looking forward to getting my quiet time with the fictional people back. Not getting time to write pushes me badly off balance. What creative project are you working on at the moment? I’m in the middle of writing a trilogy for young readers. The first book is tentatively called Children of Peace. Do you know that kings in the middle ages used to exchange their sons as hostages to peace treaties? It’s that, except it’s set 500 years in the future and it has crazy robots in it. Not to mention a narrator named Greta Gustafsen Stuart, Duchess of Halifax and Crown Princess of the Pan Polar Confederacy. I adore these books, and I can’t wait to find a publishing home for them and set them loose on the world. I’m also putting together a book of poetry — if published, it would be my third. It is finally starting to take shape. My office. Three years ago, after a long period of unproductive despairing funk, I rented an office. Apart from choosing a husband, it’s probably the best decision I’ve ever made. I have a desk from Goodwill and an old Killim rug, a little couch off the curb and a stained glass lamp from a junk shop. There’s a spot for all the stuff that has meaning to the writer in me, like the painting that was on the cover of my first book of poetry and the bundle of grass from the hill by the monastery where I wrote it. I am so happy there, and with Pavlovian conditioning involving coffee, soundtracks, and scheduling, I have trained my strange little muse to meet me there on a semi-regular basis. Possibly the best bit is how absurd the place is: I sublease it from a pole-dancing fitness studio, which is an awesome thing for a children’s writer. It is painted bordello red with black trim. My process … hmmm. I usually start a book with a character (or two) and a bit of what I call “original equipment” — something a bit more than a premise, and a bit less than a plot. For Plain Kate, for instance, the original equipment was: “There’s an orphan girl named Katerina Svetlana, called Plain Kate. She’s going to be forced to sell her shadow, which will gain her a talking cat.” For Sorrow’s Knot, it was the question: “In a world where knots give people the power over life and death, what would it mean for someone to have too much of that power?” I had that, and the main character, Otter — the daughter of such a too-powerful figure, and someone struggling with too much power herself. Plain Kate was an easier book to write than most, because the original equipment also gave me the plot of the opening act. Mostly this does not happen, and I just have to follow my characters and their baggage around until something interesting happens. Then I throw everything out and start again to get to the interesting part straightaway. Then I write to the middle of the book, where I get stuck. I stay stuck for a few weeks or a few months, despair, and consider getting a job in a bank like a normal human. Then I have a breakthrough moment and stay up all night writing a five-page treatment of the second half of the book and the ending, which allows me to start writing again. That treatment, by the way, always turns out to be wrong. This has happened to me three novels in a row, now. And as the physicists note: once is nothing, twice is interesting and three times is a law of nature. So I guess that’s officially my process. When you publish a book, is it hard to let it go as it still feels such a big part of you or are you ready to let it go into the universe and take on a life of its own? It IS hard to let a book go for the last time. When I finish one I usually have a terrible post-partum crash, and mourn the fact that I don’t get to go back into that world in the same way, ever again. I usually move rapidly from euphoria to crushing self-doubt to weepiness and the urge to binge on Netflix. Then I write something new. But that’s finishing a book. After that there is still something like four rounds of copy editing and proofreading, which takes most of a year. By the time the book actually hits the shelves, I’m nothing but thrilled to see it finally reach readers. What writer would you give your right arm to meet? Mary Oliver. Or maybe Ursula K. LeGuin. I read a lot, and pretty widely — poetry, non-fiction (mostly histories, science, and histories of science) and literary fiction. 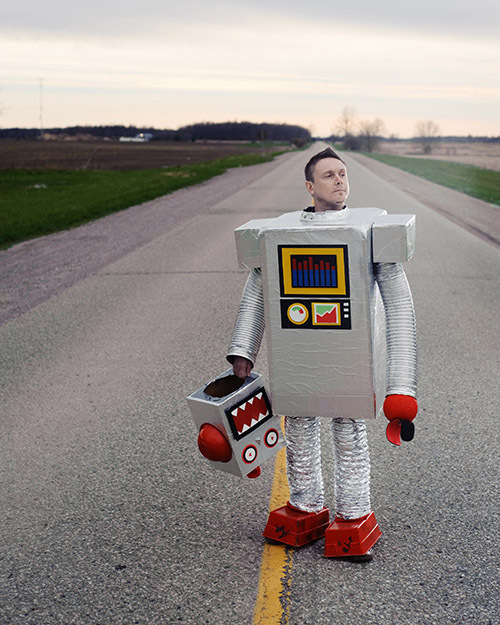 But I am most swept up in fantasy and science fiction for young readers. I write it because I like to read it. What is something that gives you great pleasure? Cooking for other people. Especially grown-up people who won’t look at my white bean cassoulet and ask (as my precocious three-year-old once did) “Mom, what were you thinking?” I like to throw casual dinner parties for fabulous people. What do you typically have for breakfast? 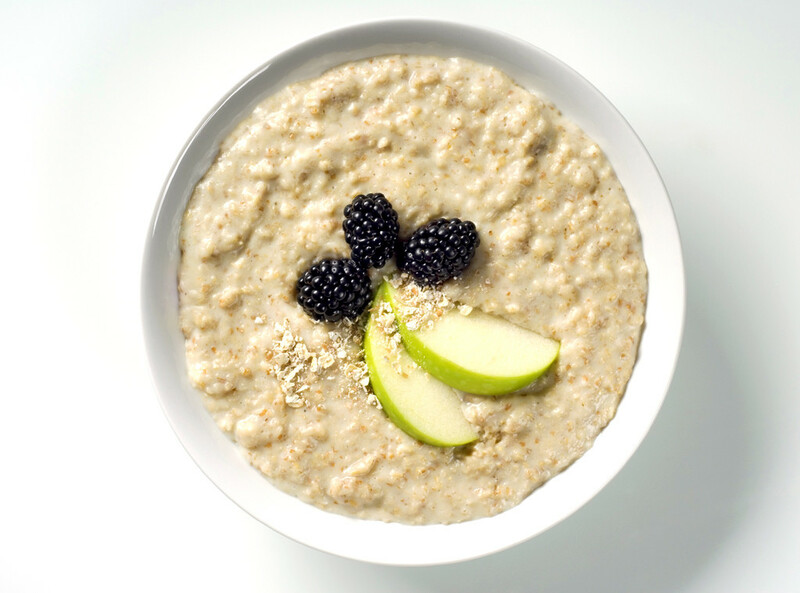 In the winter, I like oatmeal. I take raw oats, dampen them and microwave them for about 2 minutes, so that they are still quite crunchy. Then I pour almond milk over them and add chopped nuts and dried fruit. Tell me a moment in your life you’d like to have back? I’m not sure if this means a moment I’d like to change or a moment I’d like to repeat … in either case, I guess, I miss my late sister dearly. I wish I could have our last conversation back. Chicago! This tells you how poorly travelled I am. I want to be the kind of person who can answer “Marrakesh!” But I do like Chicago. I like the architecture and the museums and the music and the food and the big American broad-shouldered vibe of the place. What kind of music do you play when you are sad? Slow down. If I had more time I would do the things I do now — writing, kids, day job, cooking, running, reading — but they would rub up against each other less. Ideally a lot less. I would curl onto my husband’s shoulder more and we would do not much together. Tell me three things you can’t live without (but not people). Books, squishy feather pillows, and a really good chef’s knife. Coffee! My writing office is upstairs from Matter of Taste in downtown Kitchener — they pull the best espresso shots in the city! The thing you most wish for Waterloo Region? I wish the spirit of the arts in the community were more visible. I feel, for instance, as if there’s a lot of literary fun going on — readings and events and festivals — but you have to be inside the literary circle already to know about them. There’s great live music — I am a blues fan, myself — but again, most times you’d never know it. I feel as if it’s hard to stumble across the arts in KW, that they are not really part of the vibe on the street. I wish that could change. I don’t know how to make it change, and I don’t mean to critique the many many people who are working to make the arts more visible. I just — wish. What can we do to follow your progress? Find me online, Twitter and Facebook. P.S. What is your favourite topic of conversation? Oh, anything that my conversational partner is also passionate about. Cooking, books, and fangirlish science fiction obsessions are popular choices. Science and history and politics. But the best conversation I had this week involved Fritz Haber, an early 20th-century chemist who learned how to condense gases from the air. His ammonia process was important for nitrogen fertilizer. If we got rid of nitrogen fertilizers tomorrow half the world — literally half the world, billions of people — would starve. His chlorine processes gave us chlorine gas, which he personally deployed during World War One. He got a Nobel Prize and faced war crimes accusations in the same year. I guess I like to tell stories, and I like to talk to people who can tell me stories. It doesn’t really matter what the stories are about. Talented landscape painter, graphic designer and all-round creative guy, Nik Harron, has the soul of an artist with a dash of business pragmatism. Being a self-sustaining artist is a tough job. Aside from the act of creating something you are pleased with, you have to get above the noise to show and tell people what you made and try to capture their interest. And more than just their interest, you want someone to buy your art so you can continue to create. This is a centuries-old problem but one where social media can both help and hinder. “On the upside there’s a sense of control over getting the word out about the work—it’s no longer just a one-sided wait for the media to engage,” says Nik. “But getting above the clutter can be challenging.” He says that early on in his career he would discover something that “blew his mind” maybe once a month and now social media presents him with an embarrassment of riches where he can have his mind blown 20 times a day. When Nik is not talking about other talents and arts organizations, he is madly at work creating beautiful, delicate and multidimensional landscapes. 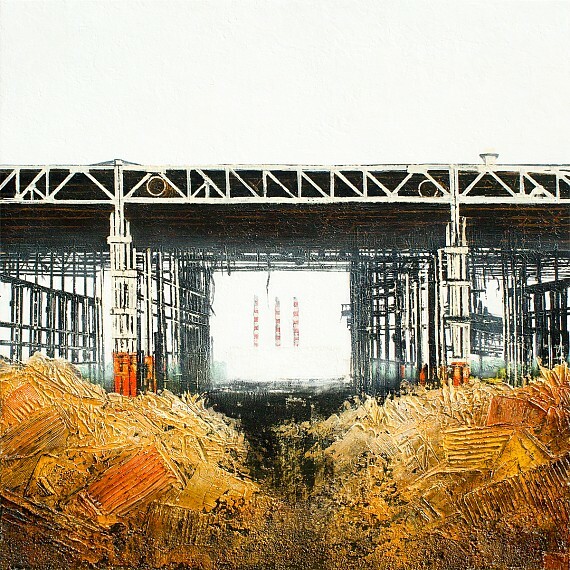 Depending on the kind of light near his paintings, different elements are emphasized and different patterns emerge. If you stare at one long enough, it’s as if the painting morphs enough to trick your eye that maybe you aren’t looking at the same painting you were moments ago. “As an artist, part of my role is to explore and push the boundaries of texture and light variations, and I make intentional choices during the creative process,” he says. Moved by the inspiration nature stirs in him, Nik paints to capture the beauty of landscapes before the mess we’ve made of the environment further erodes what’s there. “Our technological society has moved us away from a direct relationship with nature and this simply isn’t unsustainable,” he says. 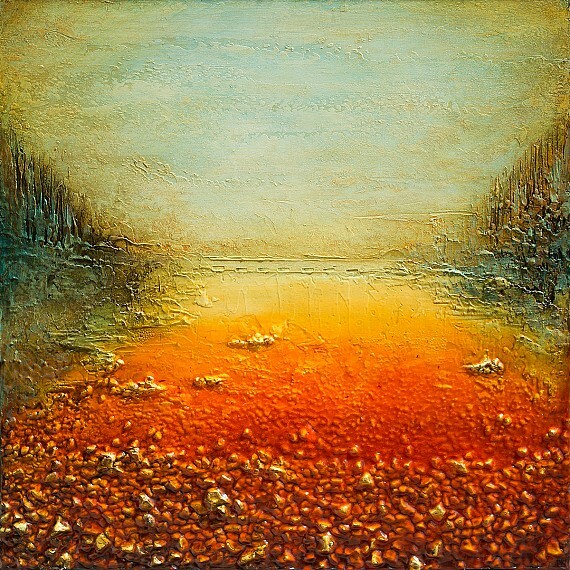 His paintings give us a chance to see his vision of the beauty in local landscapes before it’s altered or lost. Nik is also an active gamer and is gaming for charity on May 18-19 with some friends at Kwartzlab in Kitchener. P.S. Nik’s favourite topics of conversation: art, politics, science and philosophy. Okay, so I’ve been talking a lot about art lately. But when art is so interesting and good in this region, how can I help myself? 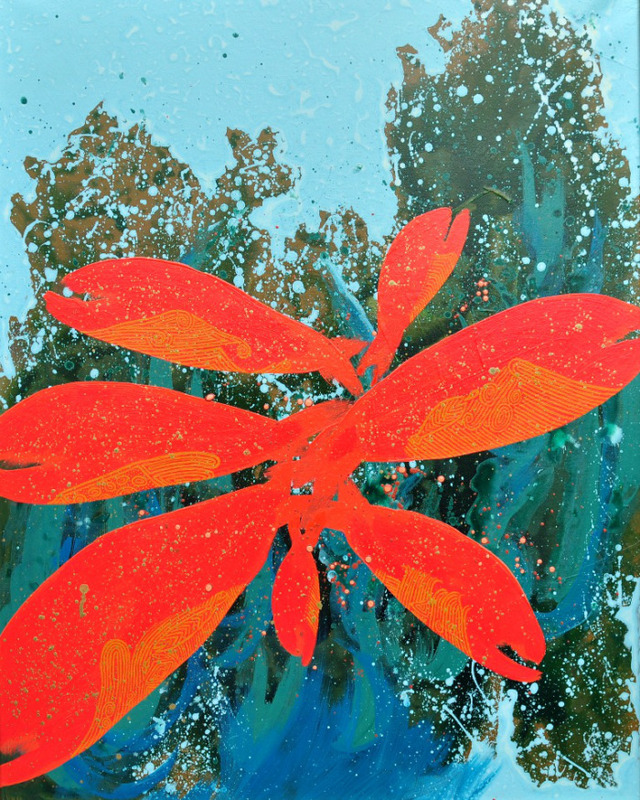 Coming up on May 10 is the Globe Studio’s Spring Art Show and Open House. 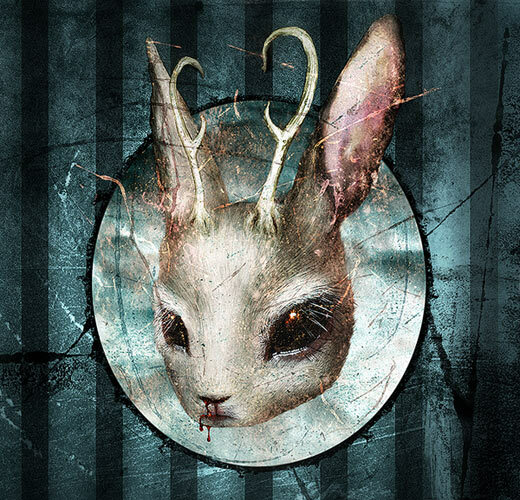 You get to poke around in artist studios, see where talented people make interesting things, ask them questions (most artists enjoy talking about what they do and why) and see if something catches your fancy to take home for your wall, table or body. Artists generally work in isolation, but every so often, they tidy up their studios and invite people in for a look. That can be a pretty risky activity (sharing what you make with the outside world) but it is an important part of the process of creating. So head to Globe Studios and wander around. 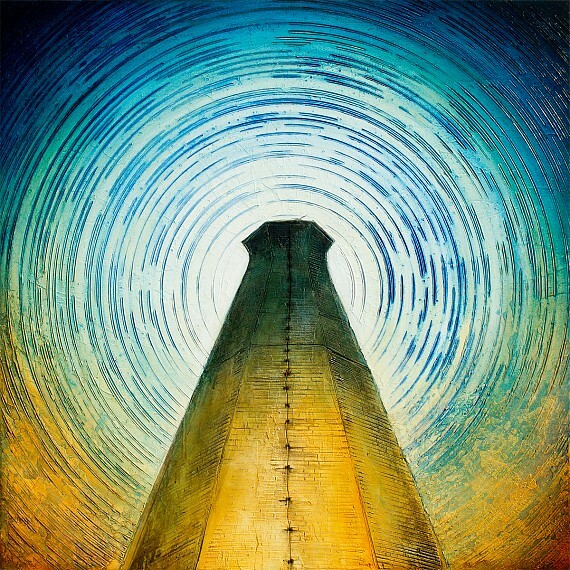 You’ll get to see the diverse work of My Pet Skelton artist Vincent Marcone, printmaker Michelle Purchase and painter Lauren Judge, among many talented others. It’s a pretty inspiring place. You should go. In the heart of downtown Kitchener, an historic hotel sits, recently adorned with art. But not just any art and not just any hotel. The Walper Hotel will play host to CAFKA’s (Contemporary Art Forum Kitchener and Area) new spring biennial exhibition on May 2. Peppered throughout the hotel, you’ll find sculptures, photography, animation, mixed media and sound installations bringing the hotel to life in unusual ways. Hit downtown K-town this Thursday, explore the hotel and engage with some interesting art projects. 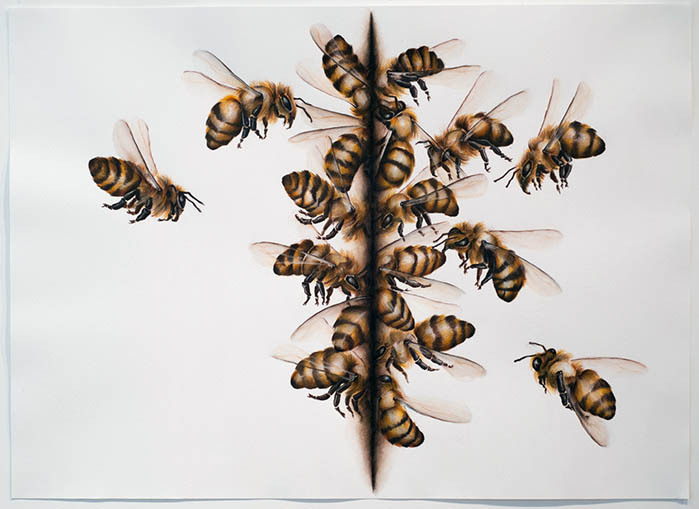 Will there be bees? 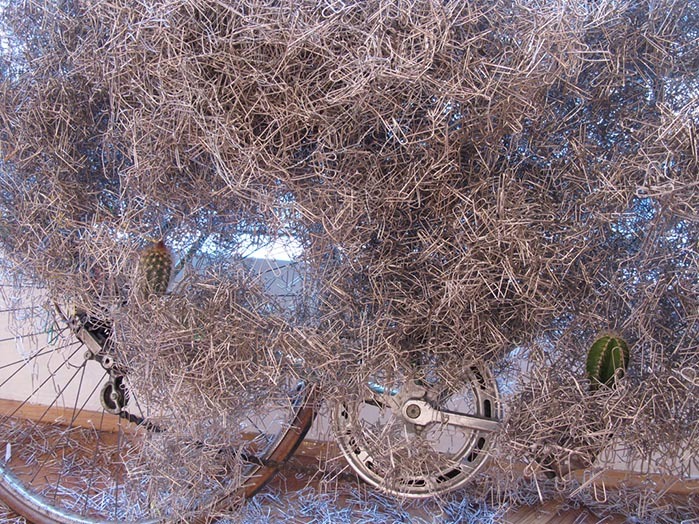 Paper-clip covered bicycles? Musical handrails? Colourful optical illusions? You’ll only find out of you visit the hotel. But if you can’t make it on Thursday, you can take in the exhibition until August 11. Get downtown and see, feel, touch and make some art. Looking for maple syrup fun, family style? Enter Shady Grove Maple Farm, nestled in the countryside not far from Kitchener. 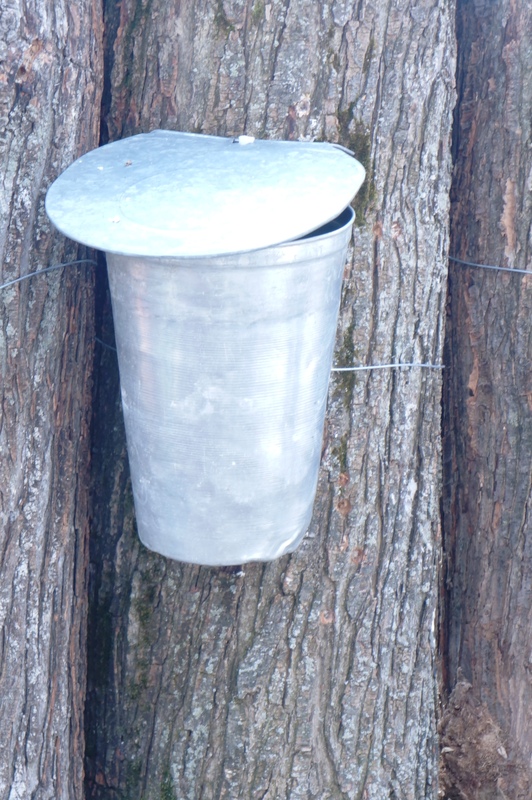 This time of year, this sugar bush is jumping with visitors keen to visit a full-production maple syrup farm. And this season has been perfect for maple syrup producers (cool nights and warmish days). 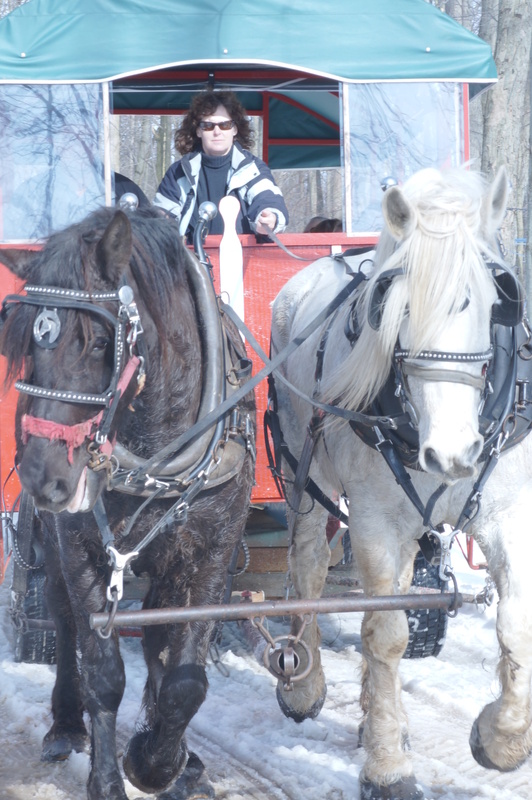 The farm offers horse-drawn wagon rides around the bush, live demonstrations of all the elements of maple-syrup production, nature trails you can wander, a petting zoo (featuring Billy, a goat with a serious personality), a pancake bar and a spacious indoor picnic area where you can smother your pancakes with delicious, golden maple syrup. Trust me – you will add more than you think you should for it is the best maple syrup you’ve ever tasted. They also have a little shop where you can buy their delicious maple-related items. 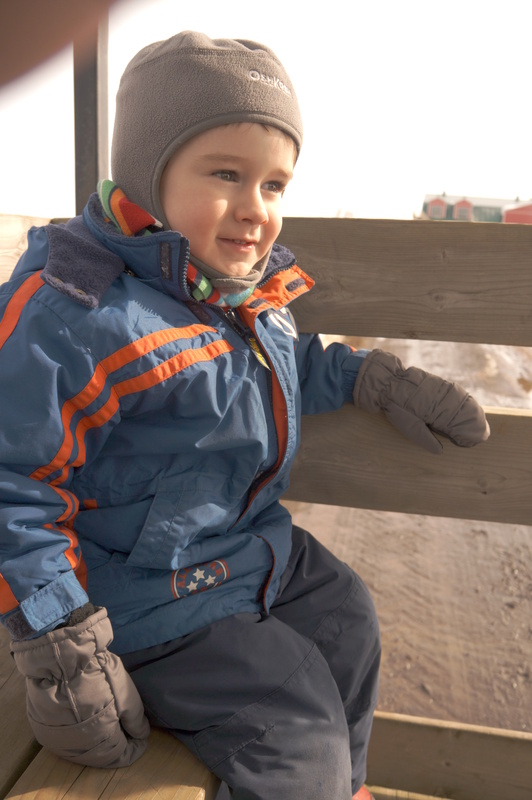 It’s a big hit with kiddos and grown-ups too – it’s nice to be in the bush on a wagon, enjoying snow and sun, and learning a little bit about Canada’s national tree-sap product. The petting zoo is a nice feature although try to keep the sticky fingers off the soft-coated bunnies – nobody likes sticky fur. They are open to the public every weekend until April 15. The staff are friendly and the place is in good shape so check it out. Be a good Canadian: love your maple syrup. And history has offered up a lot of fodder for Scott’s artistic brain. He has written an historical adventure, The Northwest Passage; a graphic memoir, Two Generals, based on his grandfather’s experience in WWII; and a fantasy series called Three Thieves. He is currently at work on the fourth book in the series, due out next year. 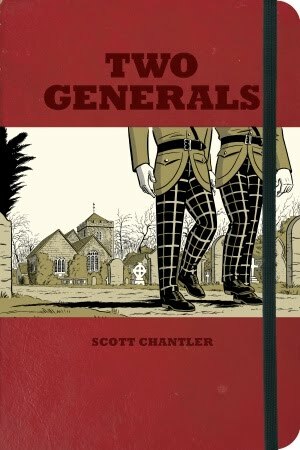 While busy at work on his forthcoming book and a screenplay project he can’t yet speak about, later this month, Scott’s graphic non-fiction book, Two Generals, will be the feature of a new exhibit at the City of Waterloo Museum. 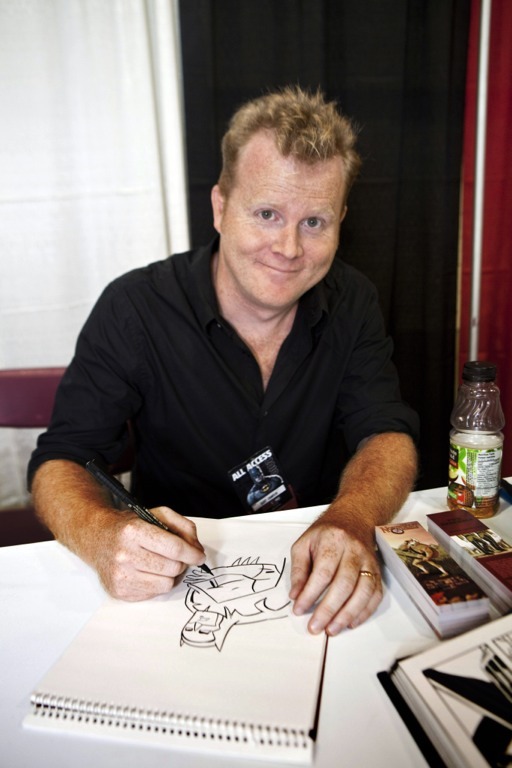 The work of his comic will be brought to life with relics from his grandfather’s WWII experiences along with a suite of rare Canadian comic books on display. “I love it when an opportunity comes along to reach non-comic book readers,” he says. 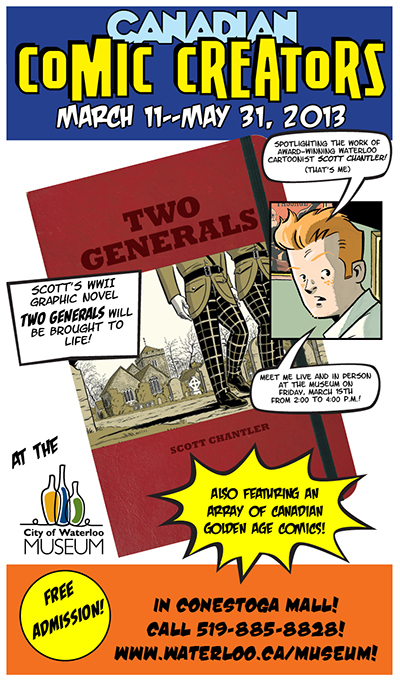 You can meet Scott in the flesh on March 15 (2-4pm) at the City of Waterloo Museum where he’ll be talking about his book and how awesome comics are. You can also read his musings on Twitter. P.S. Scott’s favourite topic of conversation: anything a well-read person will talk to him about, except sports. 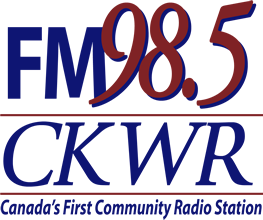 Tune your radio dial to CKWR 98.5FM every Thursday evening to listen to Culture Soup, where RJ (Randy) Johnston chats with local artists and champions of the arts about the interesting things they are up to in Waterloo Region. First airing a year ago, RJ and then co-host Tammy Wrice, launched the show to shine a light on the often underappreciated talent in the region. “I’ve been amazed at the photographers, sculptors, actors, musicians, painters, tattoo artists, welders and arts administrators who have been incredibly forthcoming about what makes them tick,” he says. 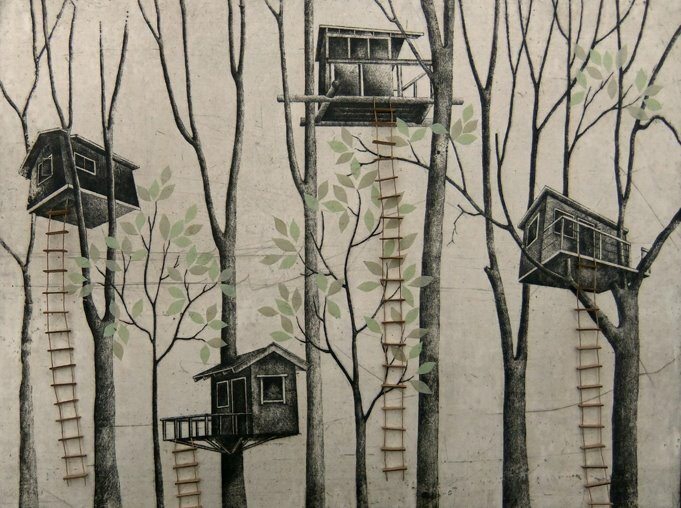 “We find that fascinating and hope our listeners do too.” Recently, local artist Jennifer Gough has joined RJ as co-host. Like lots of entertainers, RJ is a bit of man-about-town in the arts world. He is an actor, musician, writer, director, producer and auctioneer. 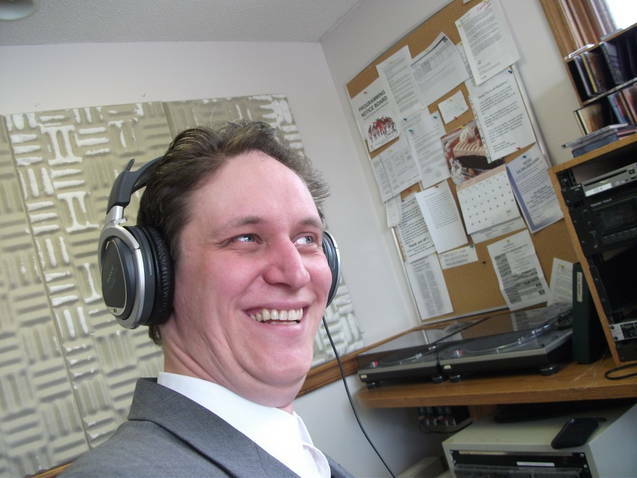 Having been a regular guest host on Roger’s Daytime, he is often asked to host community events such as the KW Arts Awards, which is the kind of thing he loves to do. 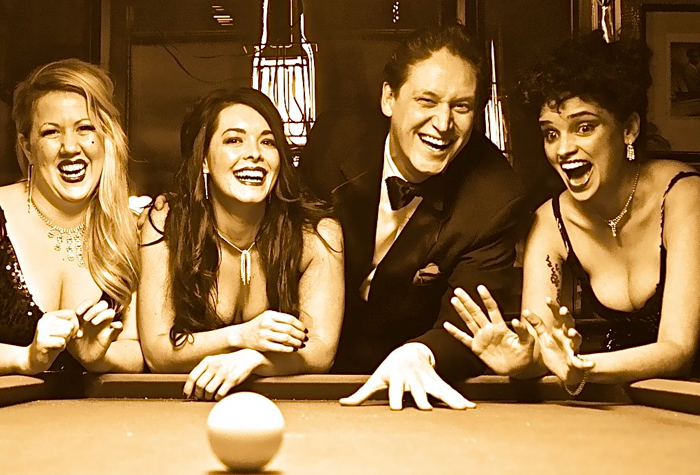 His recent focus has been his musical project, The Rando Bando, a musical comedy group for hire. Reach out to RJ if you want to talk on air about your latest art project. He’d be happy to hear from you. P.S. You can listen to a Midday with RJ clip from on location in New Orleans. P.P.S. RJ’s favourite topics of conversation: language (how words are altered, adapted and interpreted) and the diversity and evolution of birds. (Yes, birds). Ladies and gentlemen, have your tickets ready. 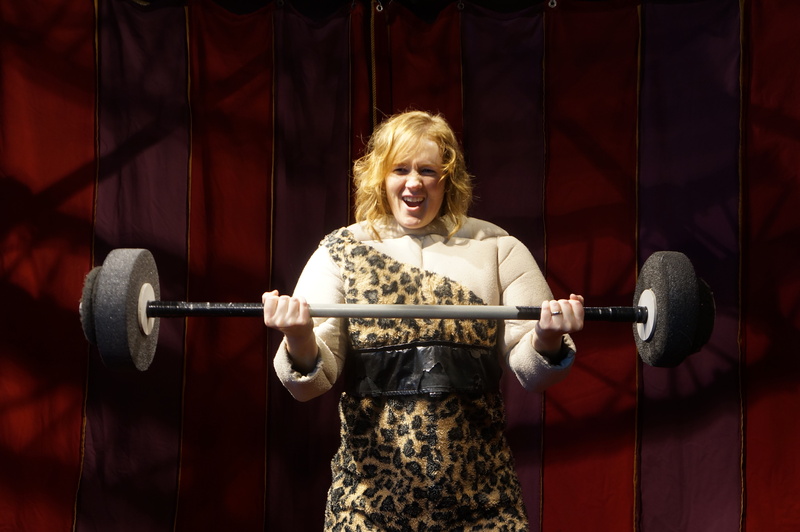 Tonight, under the big top, we welcome KW’s newest and coolest exhibit: Circus: Science under the big top. 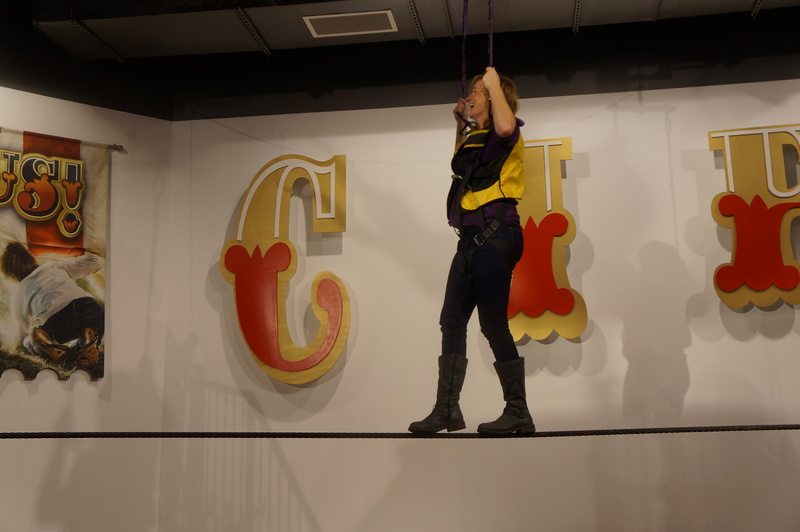 The Waterloo Region Museum plays host to to this fun, interactive circus exhibit where you get to dabble in the dazzling world of circus life, without the sad elephants and caged tigers. We took our three-year old but I think I had just as much fun as he did. We got to dress up in circus performer clothes, perfect our circus performer tricks such as juggling and walking a tight rope (I was half terrified so couldn’t let go of the harness but someone braver could easily do it) and take deep whiffs of circus-type smells (note to you: pass on sniffing the “circus sweat” option). 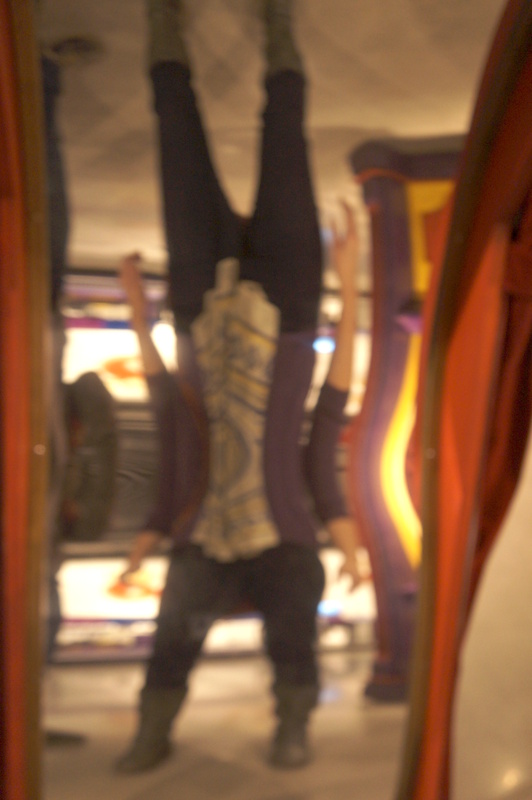 The exhibits offer some interesting circus historical bits interspersed with buttons to push that made interesting sounds, fun questions (with the answers hidden under secret flaps), activities to test your brute strength and an awesome fun mirror that no matter how old you are is still pretty cool. 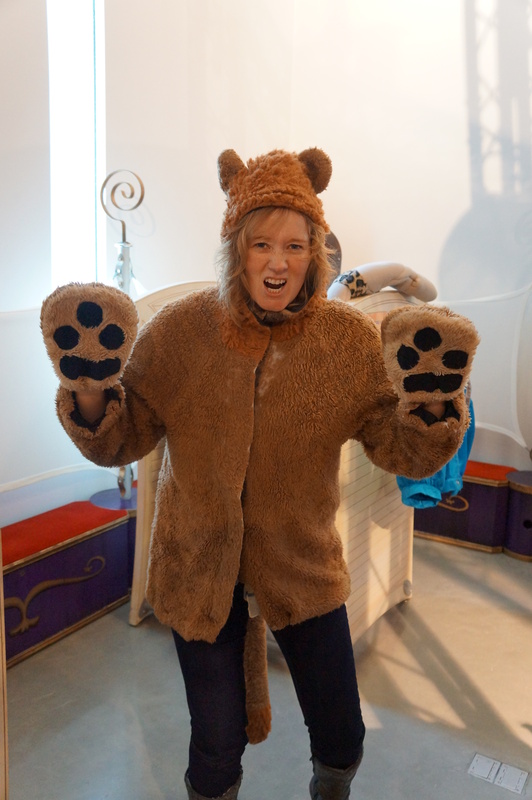 I am a bit shame-faced to admit this was my first time to the museum. 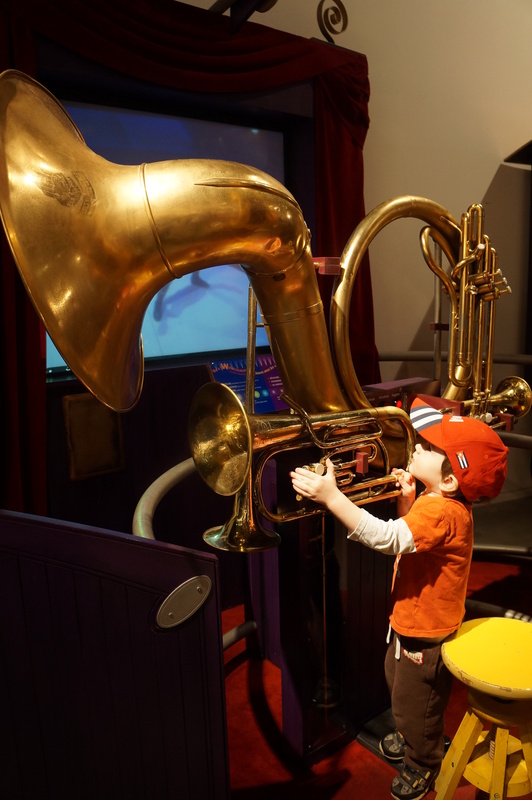 It is a very cool place with friendly staff and some neat permanent exhibits. Despite the huge amount of snow, I could tell it sits on a beautiful piece of property, well worth exploring in nicer temps. Fun mirror is so fun! 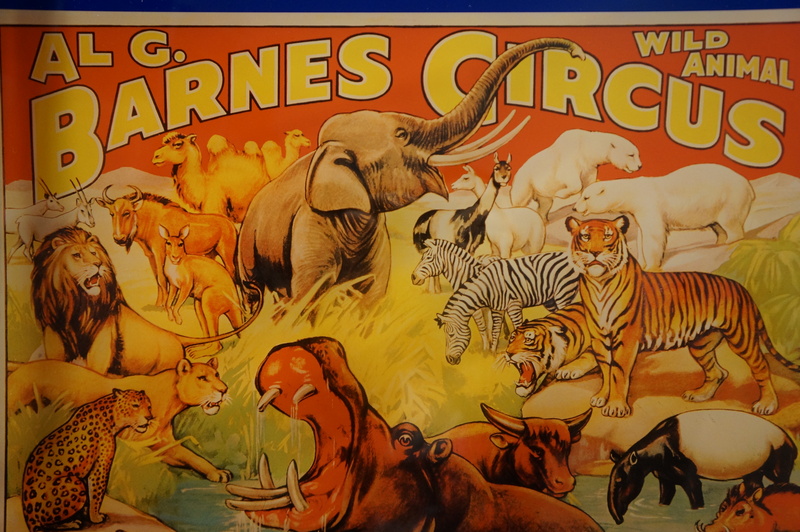 The circus exhibits runs until May 5, 2013. Even if you don’t have kiddos, you should go. You might even have more fun. Have you checked it out? If so, let me know what you thought.